If you are looking for files to enrich your telling the time curriculum that bundle is perfect for you. 1. 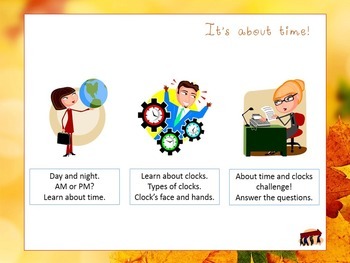 An interactive presentation about time and clocks (theory and questions are included). 2. 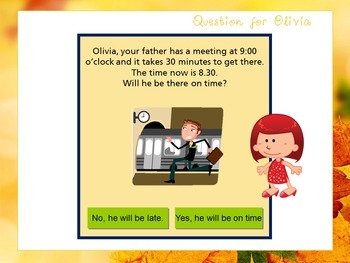 An interactive PowerPoint game. Both presentation and game are suitable for any type of interactive whiteboard. You can buy each item separately or you can save money buying the whole pack.